The Fiio i1 met nothing but a tough reception upon release with many marking it as redundant being comparable, at least on paper, to the dongle included with the iPhone 7 for free. However, numbers and measurements aren’t everything, of course, demonstrated by the radical difference between smartphones using the same onboard DAC included by every Qualcomm SOC. Performance also isn’t just based upon the components that you choose, but their implementation which can be just as important. And besides sound quality, the i1 brings several notable features to the table to enhance user experience. With a $40 USD asking price, let’s see if the i1’s real world performance delivers. I would like to thank Fiio very much for contacting me and providing me with the i1 for the purpose of review. There is no monetary incentive for a positive review and despite receiving the product for free, I will attempt to be as objective as possible in my analysis. The i1 has a basic, straight-forward design that values utility over fashion-ability though they still carry the industrial build and feel we’ve come to expect from Fiio’s products. It is markedly larger than the dongle included with the iPhone 7 though it is hardly cumbersome and any differences in weight are pretty negligible in use. The build is vastly improved over Apple’s equivalent with an aluminium enclosure on both the lightning connector and the i1 itself. The Lightning plug is a little chunkier than the Apple dongle though it remains slim enough to fit within cases. The i1 itself is about twice as large as the Apple dongle though it makes up for its added size through added utility. Most notably, the i1 has an inbuilt 3-button remote and microphone enabling smart controls even on earphones that lack them, especially useful if those earphones also lack a removable cable. Some chamfering on the bottom edges adds a silver ring of lustre and flare to the design, reinforcing the i1’s industrial design. Each element is covered in a matte black finish that provided a little extra traction when inserting and removing earphones from the I1 and the i1 from my IOS devices. The i1 has quite a long cable (80cm) beneath the main housing which does make it more awkward to use than the much more compact Apple dongle. The extra length enables the controls and mic on the i1 to be placed around chest height, mimicking the position of an inline remote. In use, it’s pretty awkward to use the device like this as your earphones need to be coiled up and clipped to your shirt; earphones with l-shaped plugs are especially fidgety. Luckily, the i1 has an integrated cable winder similar to that included on Fiio’s in-ears which helps to keep the cable in order. I found it more pragmatic to coil the cable and keep the whole unit in my pocket. 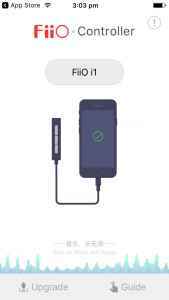 Upon first connection with an IOS device, the user is prompted to install the Fiio Controller app though the app does not need to be installed for the device to function. Fiio have said that the app will have eQ and various other functions later on but at present, it is fairly useless; it essentially just lets you upgrade the firmware on the i1. The app also has a basic user manual though the i1 is essentially plug and play. The controls on the i1 worked well in my testing, they are responsive and clicky with minimal latency. The inbuilt mic is also pretty decent, audio is a little muffled, but quality is easily sufficient for phone calls and voice memos. When connected, audio automatically routes through the i1 and the device remembers a separate volume profile specifically for the device. All IOS eQs are disabled though in-app equalisers can still be used. 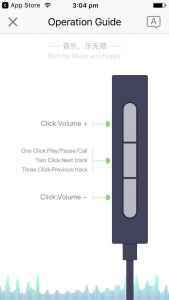 Volume can be changed either through the i1’s remote or through the device itself. The i1 doesn’t draw much power at all, I noticed a ~20% decrease in battery life when compared to the stock 3.5mm jack at the same volume. The i1 also goes into a low-power sleep mode when inactive to conserve power. I didn’t notice this to cause any latency issues like the Oppo HA-2, which took a second or two to wake from sleep. Of note, the i1 only works with lightning based iPhones, iPads and iPod Touch’s, it did not work with my 7th Generation Nano which produced an accessory not supported message. It’s a bit disappointing given that the i1 would provide a genuine SQ boost to the smaller device, but it’s more a limitation of the Nano than the i1. Of note, if the i1 accidentally detaches in your pocket, the amp doesn’t produce any strange pops or other noises that could damage your earphones or hearing. Thanks a lot, this was really a detailed and well explained article. But if you add Pros and Cons of products then it will be more effective. I really like the design of Fiio i1. Can you compare it with Fiio K1? 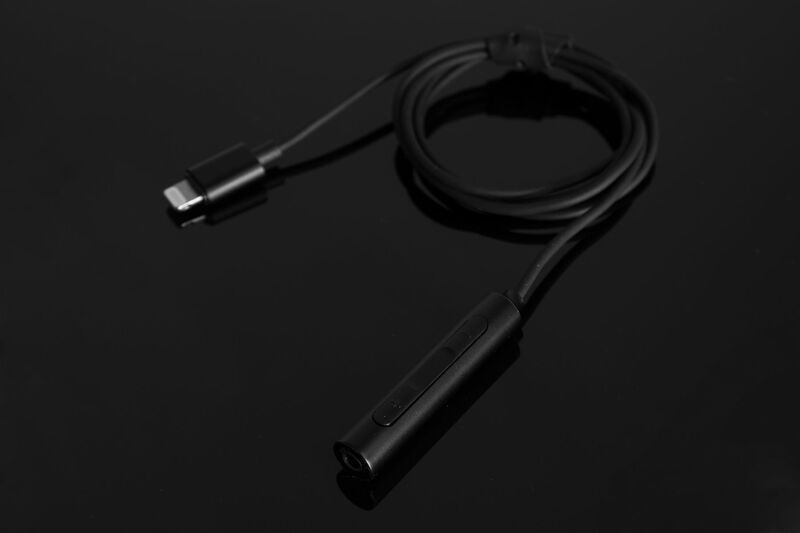 Check out the Nexum Aqua, comes with a much shorter cable. Sounds better than the Apple Lightning cable with more definition and tighter bass. can u compare Fiio i1 and Shure RMCE-LTG? I haven’t had a chance to give Shure’s new lightning cable a go, but it may be a better choice if you are using an MMCX earphone and don’t mind the higher price. The Fiio can be used on all wired earphones and is considerably cheaper, it’s a clean source that works really well for iems. Really depends on what earphone you’re using the adaptor with and your budget.